Projection: When I have love for positivity, I will not be able to have negative thoughts for a long time. I will naturally put in effort, both internally and externally to come back to positivity. So this positivity spreads around to others too and serves in creating a positive environment. 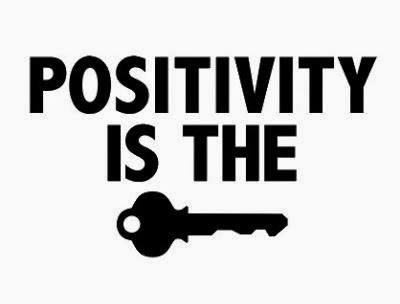 Solution: Because of my love for positivity, I begin to enjoy creating and maintaining positive thoughts. When there is experience of positivity within, there is the natural desire to sustain it. Then no negative thoughts or feelings are encouraged. Slowly I find myself being only positive. Real tolerance is a state in which, firstly, I have to go inside and check how I can contribute positively to a difficult situation. If the difficult situation requires me to mould my own behavior, I have to be open about that and respond accordingly. Secondly, real tolerance requires understanding and humility in the self and sympathy towards others: realizing that at the deepest level, everyone’s original qualities are love, peace and happiness and everyone wishes to experience these qualities and live with them and that when we behave badly towards one another, it's because we are suffering from a loss of these qualities, a loss which is temporary. That doesn't mean I have to invite another person to continue to insult me, or deliberately expose myself to negative situations. But if I happen to be in a situation where there is continuous insult or assault, understanding will contribute to my power to tolerate and accept it or walk away from it in peace. Thirdly, real tolerance is that state of contentment, which comes only through the relationship with the Supreme, in which there is no impact from the assaults, other than to cause a response inside me of wanting to give, like the fruit tree (explained earlier). Forgiveness is the healing balm for an intolerant nature. When we move very far away from God, our tolerance level reduces. The nature we express becomes that of wanting, taking, needing, rather than our original nature, which is of giving and forgiving.